Moisturizer that soothes and protects. Contains no petrochemicals that occlude skin. Composed of all-natural oils such as sunflower, soybean and jojoba oil. Shea butter and beeswax deliver essential Omega 3 and Omega 6 fatty acids. Encapsulated flavor crystals continue releasing citrus flavor for hours. Cooling menthyl lactate soothes and refreshes lips. Safe to use in oxygen-rich environments. 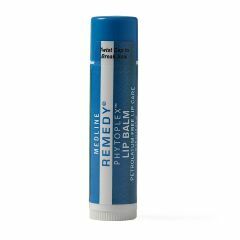 AllegroMedical.com presents The Remedy Phytoplex Lip Balms. Moisturizer that soothes and protects. Contains no petrochemicals that occlude skin. Composed of all-natural oils such as sunflower, soybean and jojoba oil. Shea butter and beeswax deliver essential Omega 3 and Omega 6 fatty acids. Encapsulated flavor crystals continue releasing citrus flavor for hours. Cooling menthyl lactate soothes and refreshes lips. Safe to use in oxygen-rich environments.